The podiatrists of Sole Podiatry are dedicated to implementing evidence based medicine and current research to deliver exceptional foot and ankle care to people throughout the community. Our friendly and professional nature will ensure your client’s visit is an enjoyable and memorable experience. Sarah graduated from La Trobe University in 2007. She has since worked in community and private health sectors in both the UK and Australia and is the co-founder of Sole Podiatry. 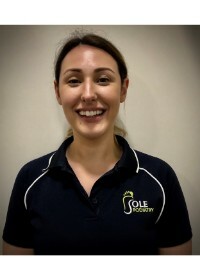 Sarah has a special interest in paediatrics, nail surgery, biomechanics and lower limb acupuncture, and also has a diverse knowledge of all sports, particularly Australian Rules Football, cricket, running and walking. Sarah has extensive experience in running footwear technology, and has previously worked for a running footwear company. Jessica graduated from La Trobe University in 2007. She has since worked in community and private health sectors in both the UK and Australia, and is also the co-founder of Sole Podiatry. Jessica has had over twenty years of ballet and dance training, and has developed a keen interest in dance and ballet injuries and Pointe assessments. She also plays State League Volleyball and has a keen interest in Sports injury management and prevention. Her other interests are biomechanics, diabetic foot care and paediatrics. Emily graduated from Latrobe University in 2012. She has since undertaken placements in both public and private health sectors. Emily has a special interest in diabetic foot care and sports injuries; particularly taking a key interest in netball and running. She has previous experience in running technology and has worked at a footwear company. Mirella’s passion for health and fitness lead to an interest and love for Podiatry. Mirella is driving to positively influence the life of others by keeping them performing the activities they love. She has undertaken work in both private and public sectors. Mirella also has a keen interest in diabetic foot care, paediatrics and nail surgery. Mirella enjoys volunteering for the annual Peter Mac foundation and the 100km Oxfam trail walk. Alice’s background of contemporary and modern dance lead to an interest and passion for podiatry Alice’s knowledge of footwear and keeping up to date with specific brands and styles was developed while working at The Athletes Foot and Bared Footwear. Alice enjoys all aspects of podiatry including toe nail surgeries for chronic ingrown nails as well as pediatric cases. Alice is continually developing her knowledge and treatment methods via further education and has experience in both public and private sectors across Melbourne. Sezen has joined Sole Podiatry in October 2018 and has brought an incredible energy and knowledge with her. Sezen grew up in Perth and relocated to Brisbane to study Podiatry at QUT and later graduating in 2013. She has worked in Brisbane, rural Queensland and Perth treating in many different clinical setups including public hospitals, private practices and aged care facilities. This has allowed her to gain extensive experience in all areas of podiatry including general foot care, high risk foot management, biomechanics, paediatrics, orthotic prescription, fabrication and modification, footwear prescription and modification, shockwave therapy, dry needling, foot mobilisation; and surgical management of ingrown toenail and plantar warts. 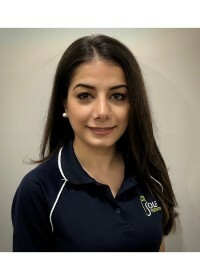 Sezen enjoys practicing all aspects of podiatry and has keen interest in treating musculoskeletal conditions and general foot care. She recently relocated to Melbourne for lifestyle change and career advancement. Outside of work, Sezen likes spending time with her friends, exploring Melbourne and enjoys staying active.